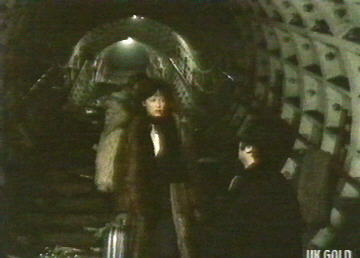 The second season of BBC1's post-plague apocalypse Survivors opened with the series' only two-part story. 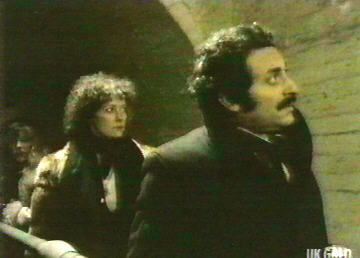 In The Lights of London, Dr Ruth (Celia Gregory) is tricked into returning to the capital by Amul (Nadim Sawalha - father of Julia and Nadia) and Penny (Carol Atkins). 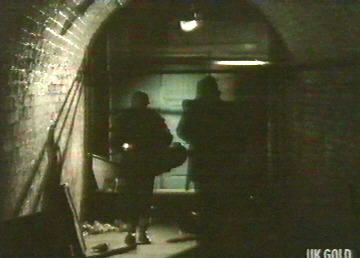 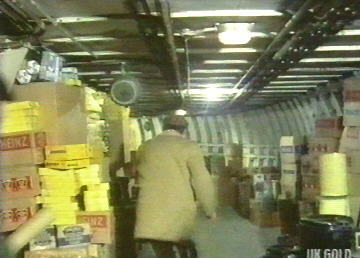 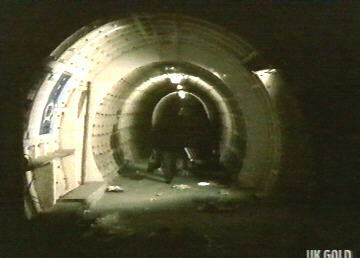 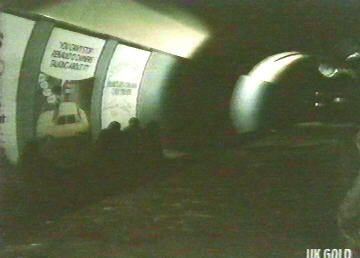 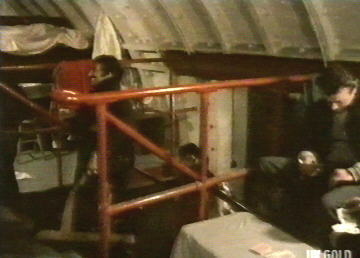 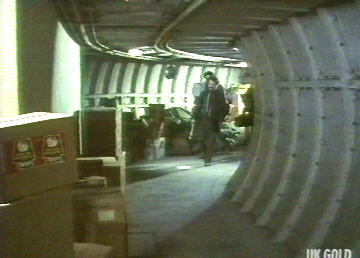 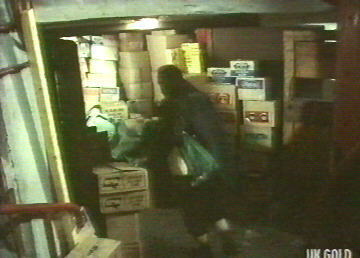 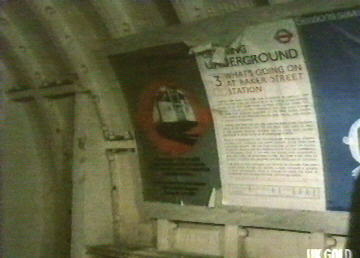 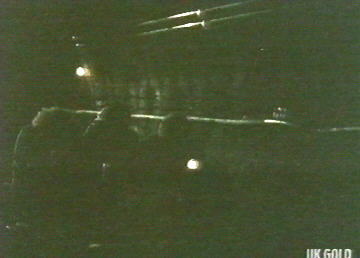 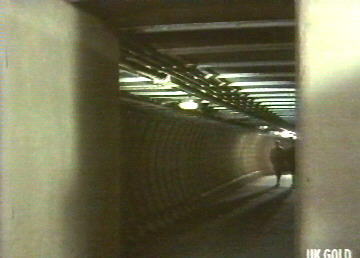 They arrive at night at what appears to be an Underground station, where they descend to tunnel level, and are next seen apparently arriving along the tracks at a "Bank" station Northern Line platform, where they then proceed to push a hand-truck along the rails, arriving eventually at "Oval" station. 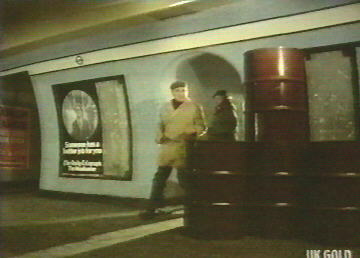 Series heroes Greg Preston and Charles Vaughan (Ian McCulloch and Dennis Lill ) head off to London, following some directions left by Amul with a third party. 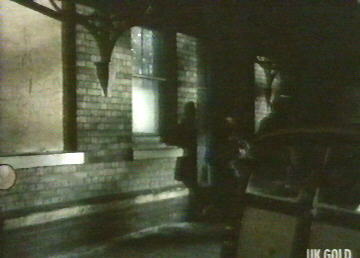 They arrive at "Hanwell" National Rail station , but are attacked by a pack of rats. 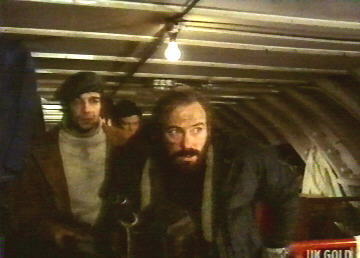 They are rescued by Wally (Roger Lloyd-Pack), who then leads them to "Oval." 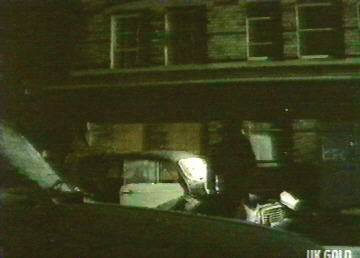 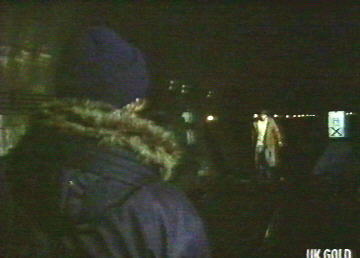 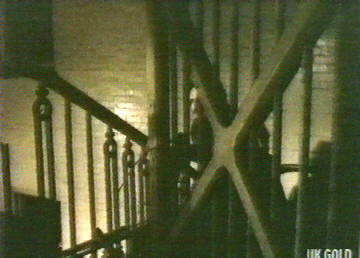 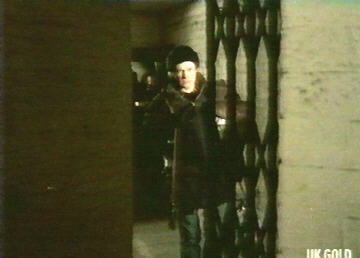 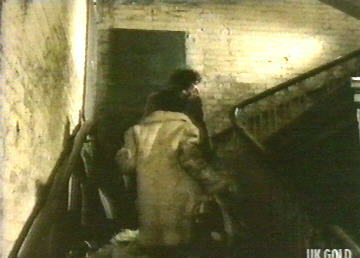 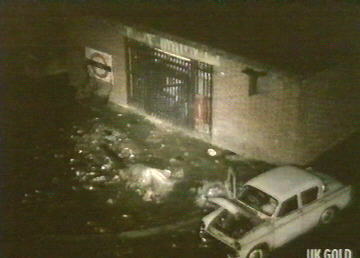 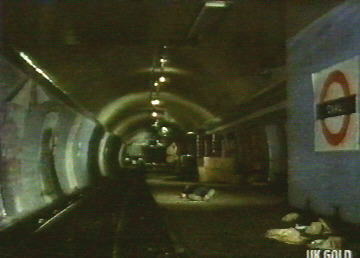 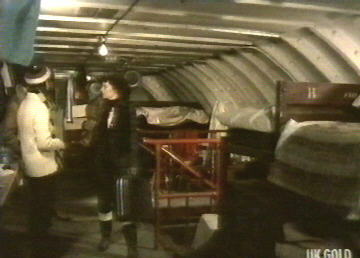 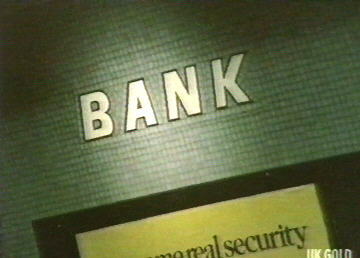 The second episode ends with a dramatic shootout at the station. 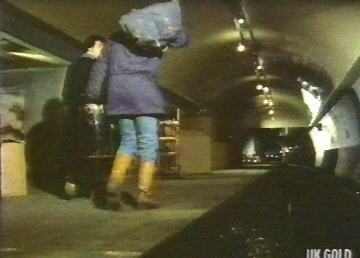 The Hanwell scenes were shot in the real station itself, but none of the other locations are "real." 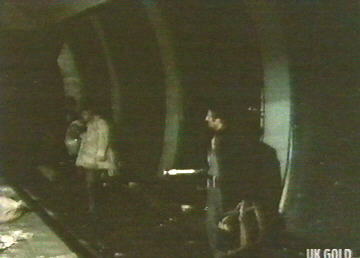 The Waterloo & City Line terminus at Bank stands in for the same station's Central and Northern Line platforms, as well as those at "Oval." 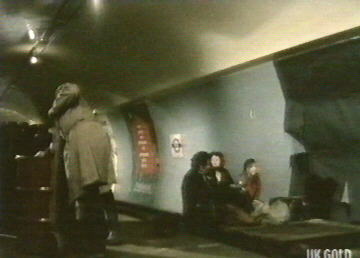 Other supposed Underground station sections were shot at the Camden Town Deep Level Shelter. 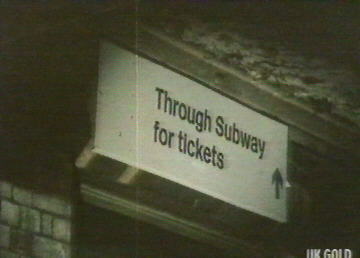 At the time, the W&C Line was run by British Rail, rather than the London Underground, and it being closed on Sundays meant it was a perfect and accessible stand-in for the programme-makers. 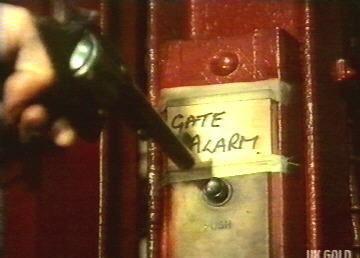 Part 2 of the story was directed by Penant Roberts, who subsequently used the Camden Town DLS as a location for Doctor Who: The Sun Makers [26/11-17/12/77 BBC1]. 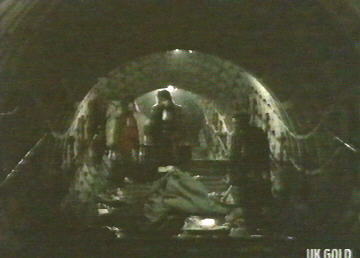 Supposedly a Northern Line platform at Bank, the distinctive blue mosaiced walls betray this as actually being Platform 7 serving the Waterloo & City Line at the same station. 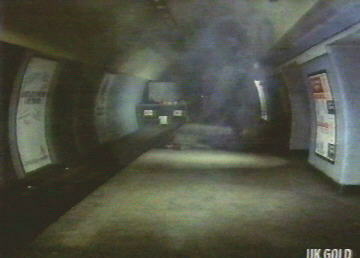 Although mocked up as Oval, the track here terminates in a bay, and is clearly W&C Platform 8 at Bank. 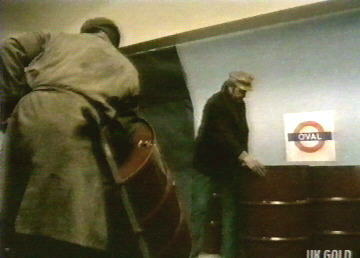 Bank to the Camden Town DLS again, supposedly as another part of Oval station. 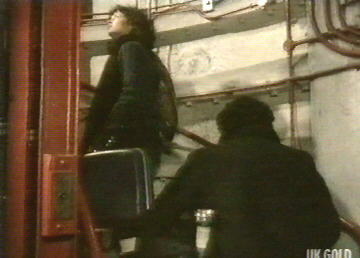 The base of one of the two main access spiral staircases of the Camden Town DLS. 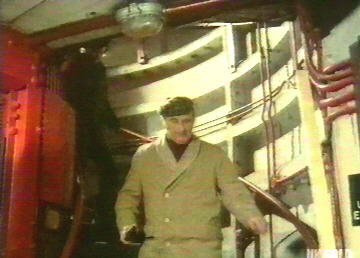 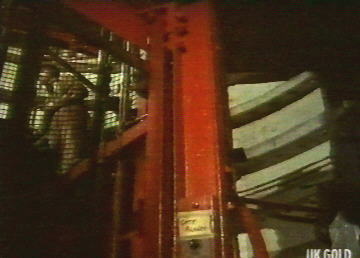 The red structure on the left is the small passenger lift running down the centre of the shaft. 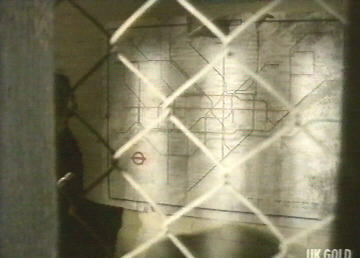 This Underground Diagram (designed by Paul E Garbutt) still shows the short Northern City Line between Drayton Park and Moorgate, which ceased to be part of the Underground network on 03/10/75. 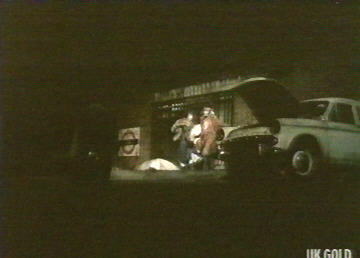 Back to Hanwell again, as Greg and Charles seek Ruth. 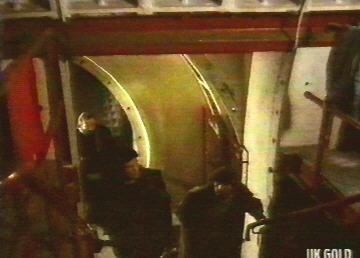 Strangely, they don't seem to have noticed the incongruity of the lights still working! 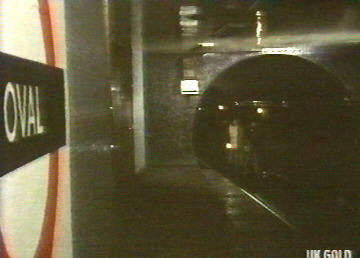 W&C Platform 7 again pretending to be Oval... ... but this - supposedly the same - is actually Platform 8. 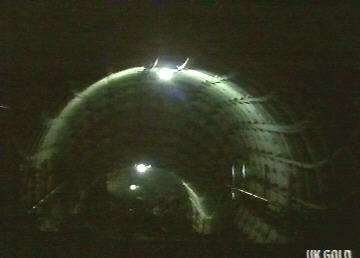 The W&C track cross-over to the west of Bank.